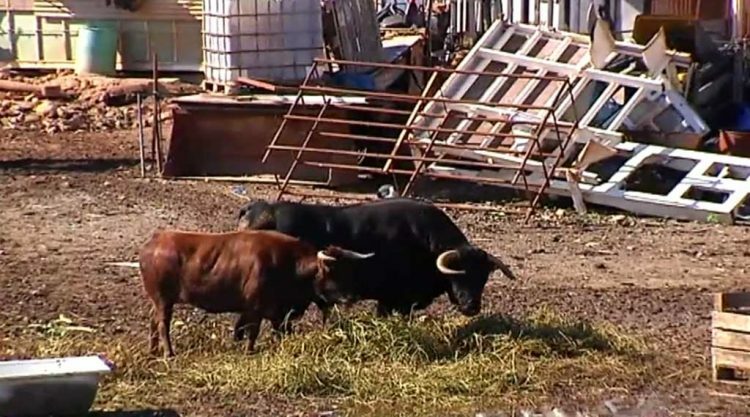 After falling victim to no less than seven break-ins last summer, the owner of a second hand auto parts business in Montserrat, Spain, has replaced his guard dogs with a pair of ‘toro bravos’, a Spanish breed of bull used in bullfighting, to roam the property and deter potential intruders. 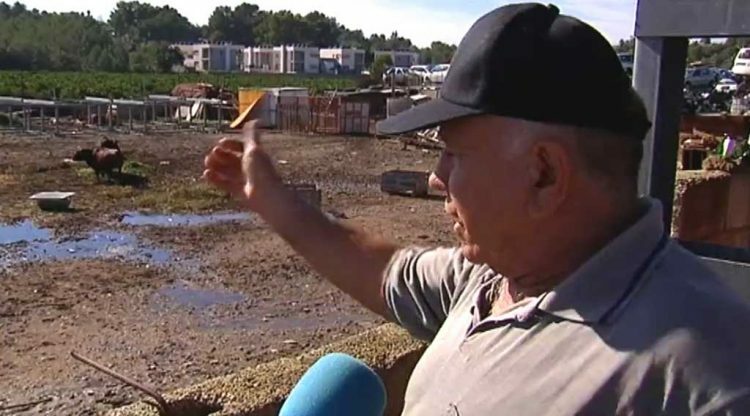 Emilio Cervero told Spanish reporters that his troubles began earlier this year, when local authorities in the Valencian town of Montserrat built new roundabout next to his junkyard. He was expropriated of part of his property, and the provincial government sealed off his downsized land with a flimsy wire fence to replace the original concrete wall which featured barbed wire protection. Since then, he claims thieves have broken in seven times, by snipping a hole in the wall, luring the guard dogs out of the compound, and simply walking in to take what they needed. Señor Cervero claims that the financial cost of the break-ins wasn’t considerable, as it turns out that most of the thieves were young people looking to steal a rear-view mirror or a tire for their cars, but the frequency with which the intrusions occurred had become an inconvenience. The fence had to be fixed every time, not to mention that the alarms were set off, bothering his neighbors. And since guard dogs were proving ineffective, he decided it was time for something more extreme. After asking permission to build a tougher wall in the problematic section of his junkyard, he was told that he was free to do so, as long as the new fence was located at least 25 meters from the new boundary fence. As his property had already been downsized, Cervero couldn’t afford to lose any more space, so he came up with an interesting alternative – replacing guard dogs with a couple of fighting bulls. One thing is for sure, if anyone does decide the junkyard is worth breaking into, they’ll get a lot more than they bargained for, none of it particularly pleasant.